ISLAMABAD: The gas tariff for all sectors except residential consumers will be increased with effect from Jan 1 to fulfill a benchmark agreed with the International Monetary Fund (IMF). 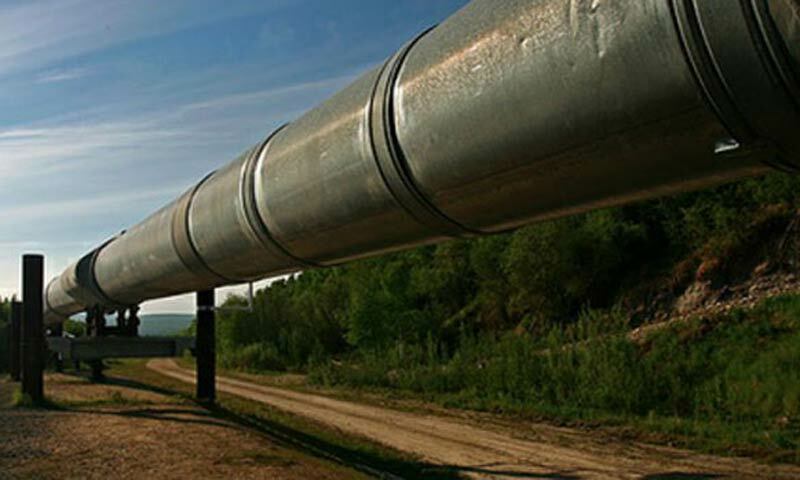 This was confirmed by Minister for Petroleum and Natural Resources Shahid Khaqan Abbasi at a news conference on Thursday where he also dashed hopes of progress on the Iran-Pakistan gas pipeline in the immediate future. When asked if the government would implement an agreement signed with the IMF for increasing gas tariff in January, he said the tariff revision would take place next month but there would be no change for domestic consumers. He said that because of gas shortage the compressed natural gas (CNG) sector in Khyber Pakhtunkhwa would be closed for a month this winter, while supply to the sector in Sindh would be closed for three days a week and to the industrial sector for one day. The supply in Balochistan will remain unaffected. Against a stagnated gas supply of about four billion cubic feet per day, the demand had increased to eight billion cfd, Mr Abbasi said. It had been established, he said, that full gas supply to power plants could reduce electricity loadshedding by half for the whole year but that it was not clear how much gas would be required for the purpose. He said the use of even the most expensive liquefied natural gas (LNG) at power plants instead of diesel and furnace oil could result in a saving of $1.25 billion per annum. That�s why the government is actively working on import of both LNG and natural gas through pipelines. Mr Abbasi, who visited Tehran this week with a high-level delegation, said it was for the first time that Pakistani and Iranian officials had officially and frankly discussed the issue of �sanctions�, confirming difficulties in the pipeline project�s implementation. He said Iranian Oil Minister Bijan Zanganeh had also frankly confirmed that Iran�s financial issues were such that even if there had been a past commitment for financing the pipeline doing so would not be possible now. �We have almost completed the pipeline on our side with about $2 billion investment and will make the gas available when Pakistan is ready,� he quoted Mr Zanganeh as saying during the meetings. The minister said Iran had been informed that no international investor, contractor or financer could take part in the project because of the US sanctions and even compression equipment to ensure proper gas flows in the pipeline were not being made available by international suppliers. He said Iran had been told that Pakistan required gas and was committed to purchasing it and meeting the contractual obligations, �hence we should re-establish the project implementation parameters so that it can be implemented when US sanctions on Iran are lifted after six months�. Mr Abbasi parried direct questions about the future of the project and the penalty clauses, saying it was an evolving situation that needed to be carefully handled, keeping in mind the international environment. However, he conceded that there was �no progress� on the ground as far as the implementation was concerned. About a reported $500 million Iranian offer, he said the financing was tied to award of the contract to an Iranian contractor, Tadbir Energy, but its bid price was too high. He said the two countries had agreed on the need to review the project parameters and an Iranian technical team would soon visit Islamabad for discussions for which a bilateral working group had been set up. He said the working group would also discuss the issue of penalties over failure to draw gas. He said the government would, in the meantime, ensure that LNG supplies started coming into the country by November next year to ease the energy crisis and a contract for the purpose would be signed within a month.